If Teeth Are Brown, Can You Whiten Them? If you want whiter teeth, see your dentist first. 3 If Teeth Are Brown, Can You Whiten Them? So your pearly whites are more of a goldy yellow? If that dulling appearance gets you down, take heart. Modern techniques can whiten your coffee-stained chompers and put the razzle-dazzle back in your gleaming grin. Of course, you can't change your tooth color from maize to ivory, but a couple of shades' worth of difference is possible--if the discoloration was caused by staining and not from the use of antibiotics. Learn the different ways to whiten your teeth, then consider cost, convenience and safety, to choose the best method for you. "Bleaching" is the most effective way to whiten your teeth. Once you have it done, you probably will not need to get a touch-up for a few years. The cost, quality and safety of various bleaching techniques varies widely. In general, be aware that all tooth-bleaching might cause tooth sensitivity (especially to very cold food and drinks) during treatment. It is also important to realize that bleaching will not whiten restored teeth. In other words, the color of bonding, laminates or crowns will be unaffected by the bleaching process. If price is not an issue and you want to get the whole thing over with in one sitting, the "power bleach" is probably the best choice. Also known as "chairside" whitening, this process takes place in your dentist's office and can last anywhere from 30 to 120 minutes. The length of the procedure depends on your dentist's technique and the color change you want to make. While in the dentist's office, you will be fitted for a dental tray--a mouthpiece that covers your teeth (but not your gums). A bleaching gel of highly concentrated hydrogen peroxide, with the active ingredient carbamide peroxide, will fill the tray. Your teeth will sit in this treatment for 30 to 60 minutes. With the help of heat and light exposure from the dentist's laser instruments, the gel breaks down. As this occurs, oxygen enters the enamel and the dentin of your teeth and bleaches only the colored substances. The structure of your teeth does not change. It is not like sanding down your teeth, as many fear, nor does it affect the chemical makeup of your teeth. The price range for chairside treatment is quite broad because there are frequent discounts on the procedure. If the power bleach is too expensive, too inconvenient or just too newfangled for you, there are two ways to bleach your teeth in the privacy of your own home. When you purchase an over-the-counter bleaching kit, you will receive a one-size-fits-all tray and the gel. The process will take about two weeks of keeping the tray in your mouth for two hours a day. Dentists, however, do not recommend these over-the-counter systems. Without the custom fitting that comes with supervision, the gel can irritate and whiten your gums. We cannot emphasize enough that, as a general matter, you should see a dentist before doing anything, so he or she can determine which treatment is appropriate for you. If you do decide to purchase an over-the-counter system, make sure the American Dental Association has approved the particular product you buy. A safer version of "at-home" bleaching entails obtaining a custom-made dental tray from your dentist. During an office visit, a tray (just like the one used in a chairside visit--it covers your teeth, but not your gums) is made. Your dentist provides you with the whitener, and you take it home. The tray is to be worn twice a day, for an hour at a time, for two weeks or more. At the end of two weeks, you'll schedule another appointment with your dentist for a checkup. The procedure is not any more or less safe than the chairside visit; it simply takes longer. To understand why visiting the dentist is the best way to go, check out the ADA's thoughts on tooth whitening (see Resources). You could just abandon the whole bleaching idea and place porcelain veneers or jacket crowns on your teeth. Porcelain laminate veneers are thin, translucent, shell-shaped coverings that are placed over your teeth and permanently bonded. Think of it this way: Your kid writes all over your white walls, and instead of bleaching it, you put up white wallpaper. But this wallpaper requires at least two visits to the dentist. At the first appointment, the teeth are prepared, and old bonding is removed. Impressions of your teeth are made, and you choose the porcelain's shade and shape. Some dentists provide digital imaging, allowing you to get an idea of how you'll look. You then go home with temporary bonding covering your teeth. About a week later, you return, and the veneers or crowns are permanently cemented. They last for many years and have no food restrictions--you can eat all the apples and popcorn you want. We're sorry to report that there are no over-the-counter kits for you to do your own porcelain dental work at home. Whitening toothpaste can serve as an alternative or as a supplement to the techniques discussed above. The ADA approves them, mainly because they are pretty much the definition of harmless. What they do is remove pellicle (an invisible film on the teeth), which enables stains to stick to your enamel. Although this does prevent stains from taking hold, it does not actually whiten your teeth. If you have yellowish teeth, they won't turn ivory, no matter how much whitening toothpaste you use; they just won't get more yellow. Almost all toothpaste brands have come out with whitening versions. Although no safety risks are associated with these products, it will take you a very long time to notice anything, and the difference won't really be very dramatic. And remember: Always look for the ADA seal of approval. If you're wondering how not to make the whiteness of your teeth worse, why don't you put down that soda you're using to rinse the coffee taste out of your mouth, put out that cigarette and think about it. Teeth can be discolored in a few ways. The consumption of staining drinks such as colas, coffee, tea and red wine is among the most common--as is smoking tobacco, of course. However, staining is not always the result of one's diet or lifestyle. Other factors such as nerve degeneration, the use of antibiotics or excessive fluoride (especially during childhood development), and dental traumas also darken teeth. Discoloration may also be an effect of aging. 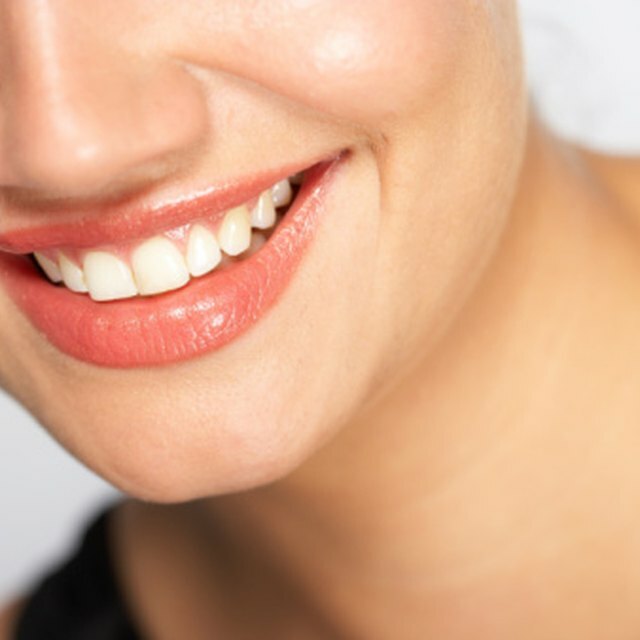 The first step to whiter teeth is refraining from the (controllable) actions that stain them. Even if you choose to undergo one or all of the procedures discussed above, you'll need to work to keep your teeth white. Incidentally, unhealthy dental conditions such as bleeding gums, cavities or sensitive teeth must be taken care of before effective treatment can begin. Most importantly, don't think of those procedures as a way to blow off good oral hygiene. Get into the habit of brushing your teeth in between meals and right before bedtime. Put toothpaste on a toothbrush and brush your teeth in up-down-left-right and circular motions. Brush all of them. Floss. See a dentist for checkups twice a year. This should at least keep the darkening at bay. Ultimately, if you want to get whiter teeth, no matter what you do, see your dentist first. Steve Schneider is an award-winning critic, columnist and humorist with two decades of experience in print and online journalism. He holds a Master's degree in media, culture and communication from New York University. What Natural Things Can Make Your Teeth Whiter? Are There Easy Ways to Whiten Teeth Without Whitening Strips?